Da Capo Press, 9780306817526, 448pp. Mark Blake draws on his own interviews with band members as well as the group's friends, road crew, musical contemporaries, former housemates, and university colleagues to produce a riveting history of one of the biggest rock bands of all time. We follow Pink Floyd from the early psychedelic nights at UFO, to the stadium-rock and concept-album zenith of the seventies, to the acrimonious schisms of the late '80s and '90s. Along the way there are fascinating new revelations about Syd Barrett's chaotic life at the time of Piper at the Gates of Dawn, the band's painstaking and Byzantine recording sessions at Abbey Road, and the fractious negotiations to bring about their fragile, tantalizing reunion in Hyde Park. Meticulous, exacting, and ambitious as any Pink Floyd album, Comfortably Numb is the definitive account of this most adventurous--and most English--rock band. Mark Blake is a former Assistant Editor of Q magazine, a long-time contributor to its sister title MOJO, and has written for Rolling Stone, the Times (London), Classic Rock, and the Daily Telegraph. He is the editor of two definitive music books, Dylan: Visions, Portraits & Back Pages and Punk: The Whole Story, and is the author of the Pink Floyd biography Comfortably Numb and the Queen biography Is This the Real Life? Blake lives in London with his wife and son. 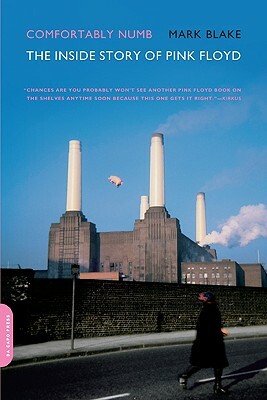 "Arguably the best book that has ever been written about 'the Floyd.'" "Comfortably Numb is both an enjoyable read for rock historians and a Pink Floyd trivia geek."